The InstaForex [read review] Great Race 2013 is just one week away! 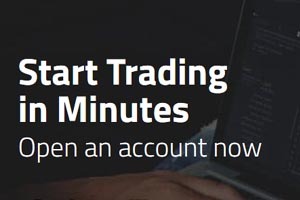 You can win real money just by using your demo account to improve your Canadian trading skills. The first step in the great race starts on February 4th so log in and register today so you don`t miss out. For the past five years InstaForex [read review] has held the Great Race contest. This year the prize pool for demo accounts is $55,000. Since it is free to create a demo account, you can win with absolutely no risk. The contest rules are simple. You are given $100,000 in your demo account to start. You can then trade Forex using the InstaForex [read review] platform. At the end of each month, users with the most profits are rewarded with prizes. Don`t miss your chance to improve your Canadian online trading skills!